Where Did Mom Jeans Come From? 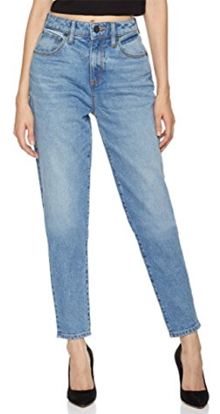 Are Mom Jeans Still in Style in 2019? They made their big debut in the 80’s and quickly become a favorite among middle-aged women. They were practical and very comfortable, while also being very clean and simple in design. There was no distressing or fading, so they looked a bit more “mature” per se. For those of you who love them, the answer would be very simple. After all, fashion is a very personal and subjective thing and we agree that you shouldn’t refrain from wearing something you love, despite what the trends are. 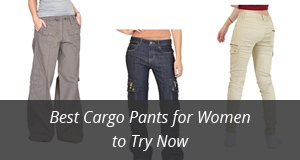 For years, mom jeans were overlooked due to their unflattering design. Times change, however, and old styles come back in fashion. Such was the case with mom jeans, which a few months ago could be seen everywhere. 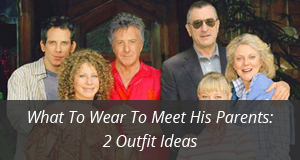 Celebrities were wearing them, fashion bloggers were making recommendations on how to best style them and you could even spot mom jeans on the catwalk. This trend is still continuing this year, so this answers the question of whether they are still fashionable in 2019. Back when they came out, they were often worn with a simple top, usually tucked in. This, along with the fact that these jeans are so big on the thighs, is what causes trouble to some. They did not hold anything in place, there is no tummy flattening and no lifting or smoothing of the legs, so everything is left there to move around carefree. This was also due to the lack of elastic in the fabric itself, as they still did not shape the legs even in slimmer designs. Despite that, there are few jeans out there that compare with mom jeans when it comes to comfort. They are extremely comfortable to wear as the loose-fitting legs make movement and sitting up and down easier. The waist is often elasticized too, which adds to the comfort factor. Style-wise, they leave plenty of room for creativity, as you can create numerous looks. 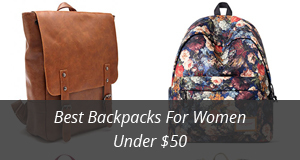 They can be worn to work, too, without being as noticeable as some of the tighter designs. First things first, mom jeans come in two main styles: cropped and regular. The ones in a regular length are very suitable to wear with more refined and elegant tops, along with matching them with a pair of heels. On the other hand, cropped ones are more suitable for a youthful and playful look as they go great with crop tops, tank tops and look especially well with sneakers or short boots. They also come in a variety of shades and some have distressed knees or thighs, also. Now, as with all types of jeans, the first and foremost choice that looks good every time, is the T-shirt. Whether it is a themed one, or even a simple, solid color T-shirt, it will look great with jeans. This goes for both regular and cropped mom jeans. Another look you can create is by matching mom jeans with sweaters or hoodies, depending on the look you are going for. Regular ones go best with sweaters as they are often a bit more refined, while cropped or folded jeans go much better with hoodies. When it comes to jackets, you can let loose and go for crazy prints and colors, as well as jacket styles. Be it a long coat or a short jacket, they go well with mom jeans, and jeans in general. Shirts are another top that looks gorgeous with mom jeans, especially ones with short sleeves as they match the relaxed look of this type of jeans beautifully. Wearing them tucked in or out is totally up to you. As for shoes, we mentioned previously that you can wear them with heels and flats alike, so this all depends on the outfit you are looking to create. But as a rule of thumb, Converse and Vans will always fit right in and as for heels, old-style ones will look best. A final note on this part, keep in mind that mom jeans have a high waist. This is a great feature for women with curves as it will beautifully bring out the hourglass shape of the body. What’s great, also, is the fact that because the legs fit so loosely, those of you with bigger thighs will not only wear them more comfortably, but they will help take attention off the thighs completely. It’s finally time to look at the five designs we would recommend, especially if you are just now getting into mom jeans. We chose based on variety and kept in mind to pick affordable options, so you won’t have to stop yourself from buying any of them… or all of them, who knows! The first design is by oodji Ultra and it is called Mom-fit High-Rise jeans. The fabric is made of 100% Cotton and the legs are loose-fitting, with the front part pleated. They are cropped, ending just above the ankles. These jeans were designed with comfort in mind and the style is very casual. They make the perfect pants to wear daily when you are out and about shopping for groceries or having a fun time at the park. Worn with a tucked-in tee and sneakers, you will be ready to take on the day’s challenge. They come in only one color called Blue. The second design is by CUNLIN and it comes in a vintage look that bring back memories of old school mom jeans. With rolled-up hems and a high waist, they are a great option for comfort and a stylish look. The fabric is a blend of denim, which is cotton, mixed with some elastic also. This makes them fit better at the waist and also be a bit more flexible during movement. There is no fading or highlights on either side and of course, there is the five-pocket styling. We would suggest matching them with flat sneakers and a top of your choice. A jacket would look very good, too. You can pick your favorite color out of the two available: Light blue and Blue. Next it’s Boohoo‘s Sophie jeans, which come in a baggy style, with rolled up hems and cropped length. They are made of 95% Cotton and 5% Polyester, so there is no stretch to the fabric. However, the baggy legs make them super comfortable. Wearing them with a belt and a tucked in shirt would really kick the look up a notch. Unlike the previous design, Sophie comes with front wrinkles and highlights both on the front and back. Being cropped, they look best with sandals, sneakers and other flats. They work great for casual looks and with the right jacket, you can make an outstanding outfit. There is only one color to choose from and it is called Blue. To add variety, as we said in the beginning of this paragraph, we have also picked out Evensleaves‘ mom jeans, which are slimmer than the previous designs. They are cut straight, but don’t fit as loosely. To make up for the lack of room, the fabric has Spandex mixed with Cotton, creating the perfect combination for women on the move. The hems are rolled up but ankle-length, so they can be considered either cropped or regular length, depending on what look you are going for. The high waist fits tightly, bringing out the best in your curves. There are 3 colors available: Dark blue, Light blue and Medium blue. We decided to end today’s discussion and selection with HALE‘s Tess Classic 90‘s jeans. Made of 99% Cotton and 1% Elastane, this is a chic design that works great for both casual and more refined wear. They are not too loose and come with highlights on the back and front. The cut is also very flattering, especially if you have big hips. A great thing about this design is that it goes wonderfully with high heels, leaving you plenty of top options to experiment with. Tess comes only in the color Senna.